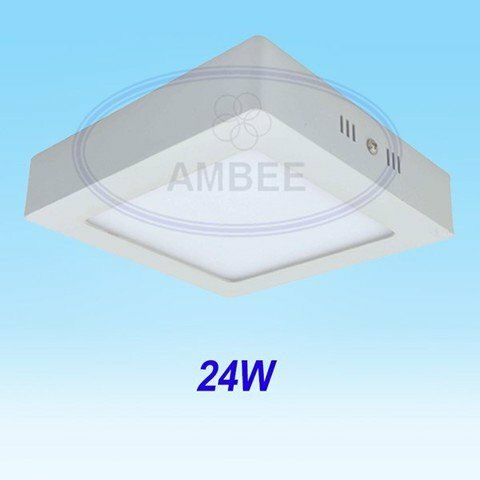 - AMBEE LED super power saving ceiling used to mount lighting ceiling and interior decoration. - Step 1: For use plasterboard ceiling, then drill a small hole to always wires, bare concrete with wire, there were waiting at the location to be installed. - Step 2: Using the screw fixed bracket ceiling lights in the face for sure. - STEP 3: Connect the power cord into the power cord level (Driver) of the luminaire. - Step 4: Attach the lights to fit in the rack, complete the installation is complete open the light switch to test and operate the brightness of the lamp is finished. - When construction and installation should carefully check the power supply to ensure safety. Do not install the lights in places where is no splashing or high humidity.